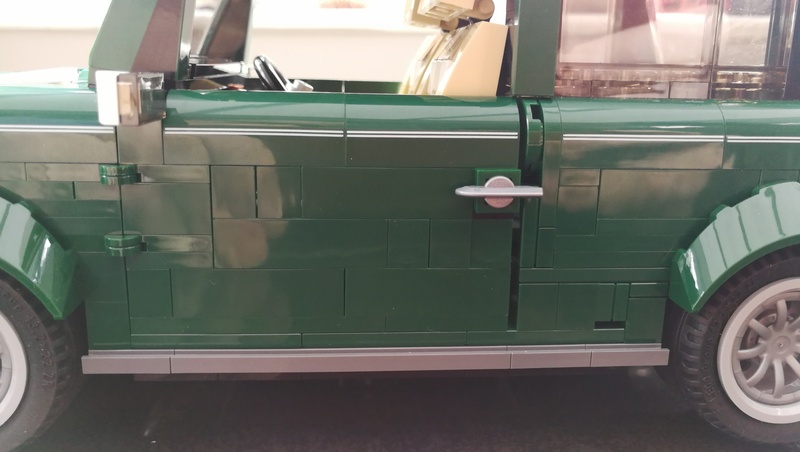 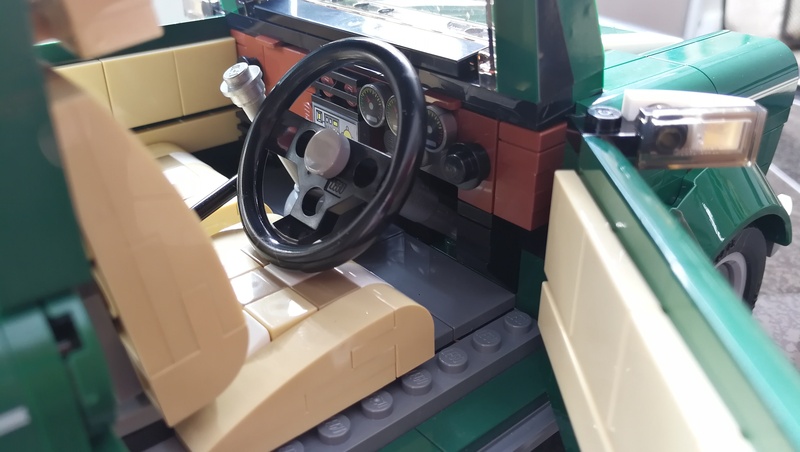 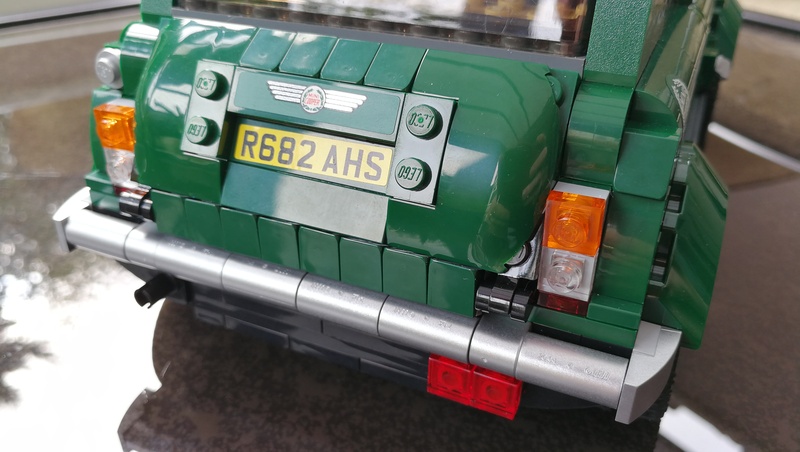 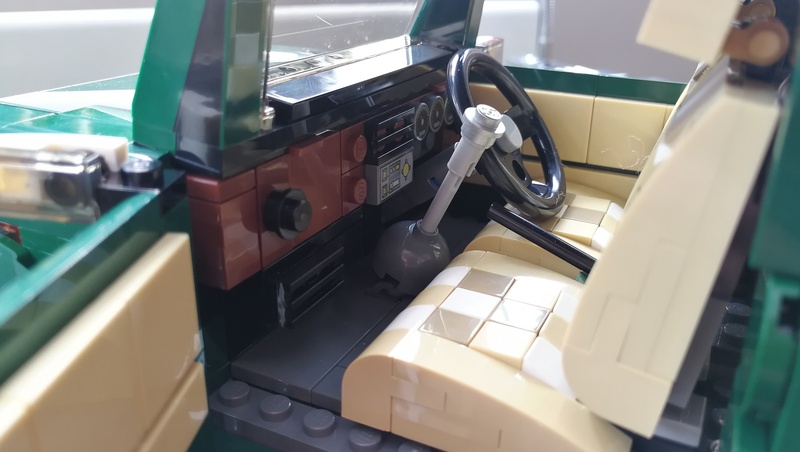 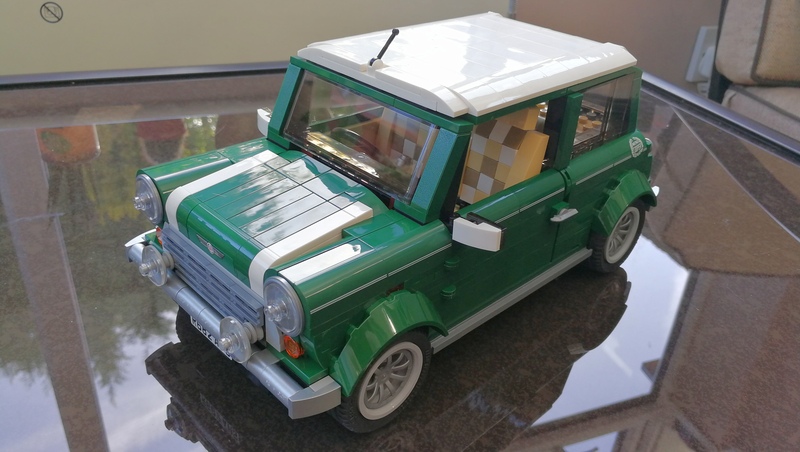 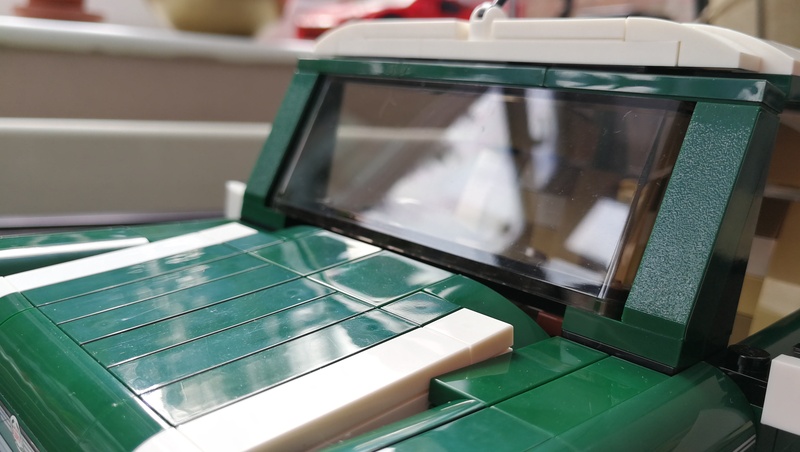 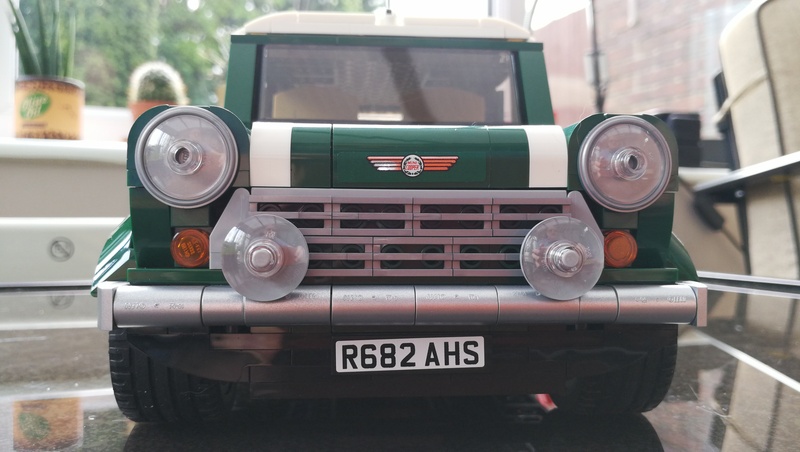 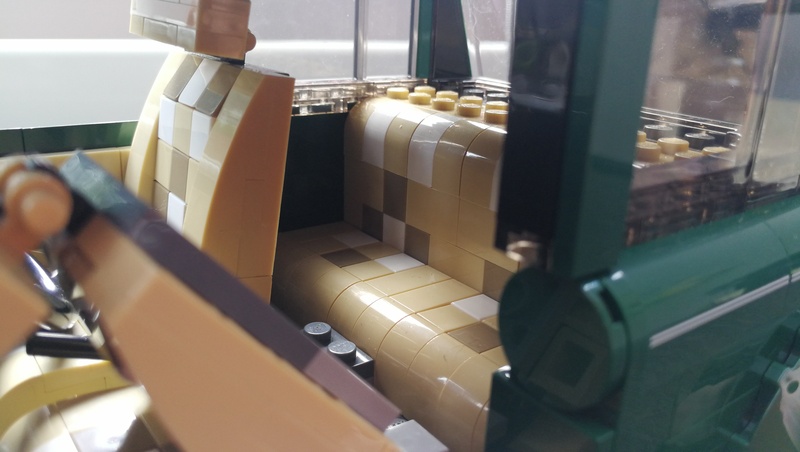 Just thought I’d post a few pictures of my latest Lego build – the Lego Mini Cooper! 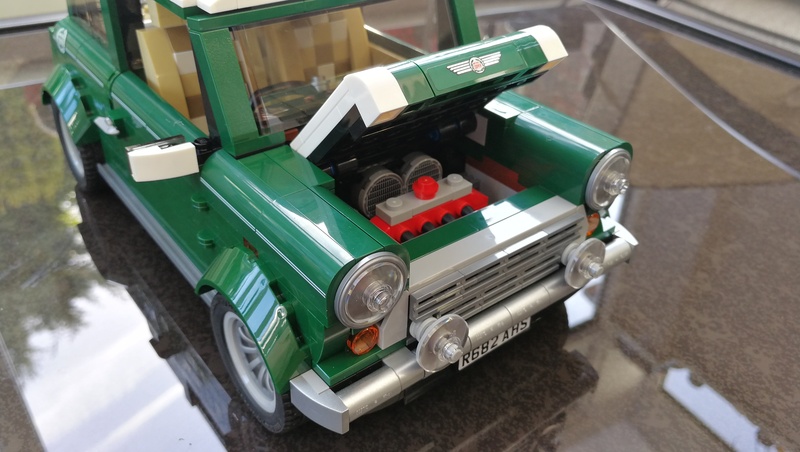 This time it’s the legendary Mini Cooper in proper British Racing green. 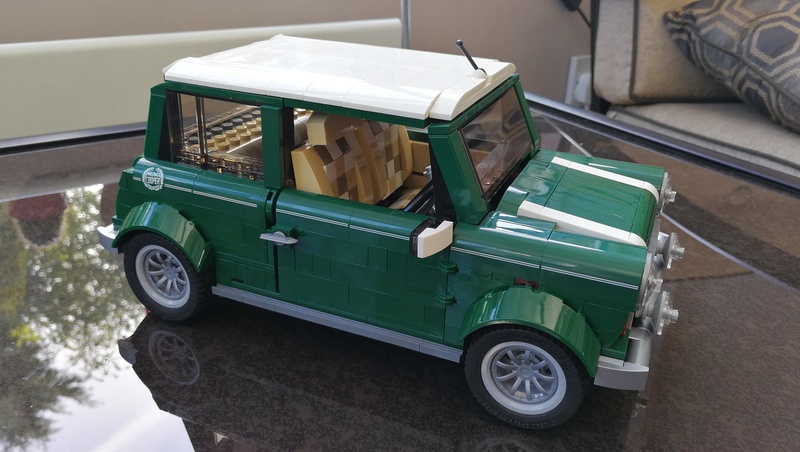 I thought this was a fun build and a bit simpler than the Ferrari I built a while back, the brick count was a fair bit lower too. My parents had a Mini when I was a child and I have a lot of fond memories of various days out and holidays that revolved around a family of 4 squeezing into such a little car – not to mention the numerous occasions that it broke down leaving us stranded by the roadside waiting for the AA to arrive! 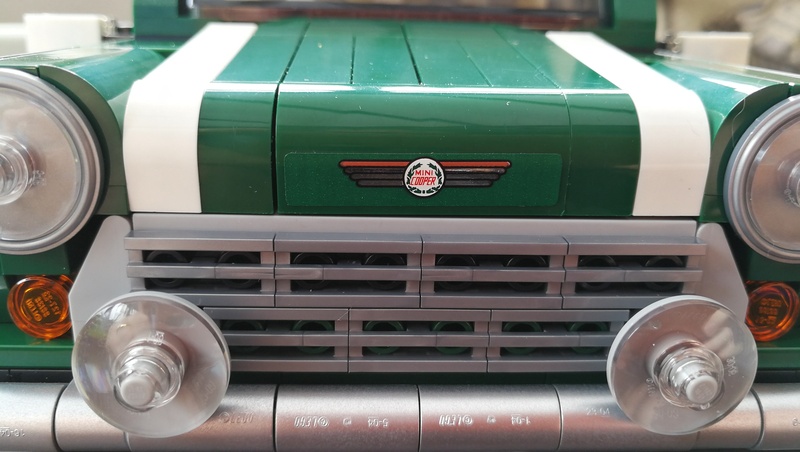 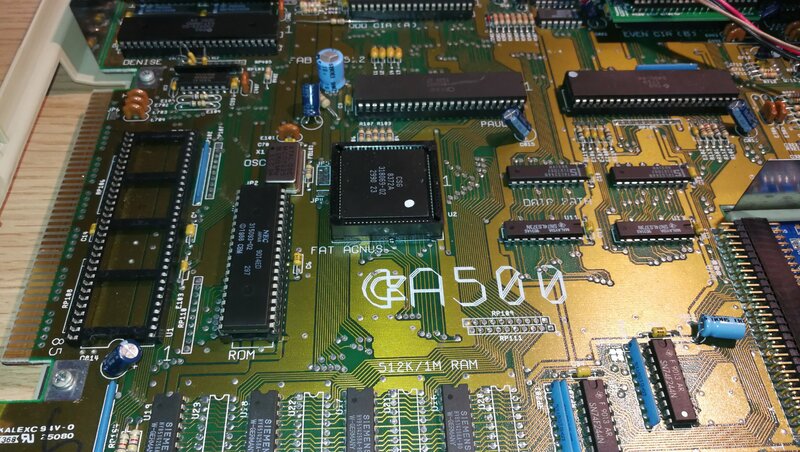 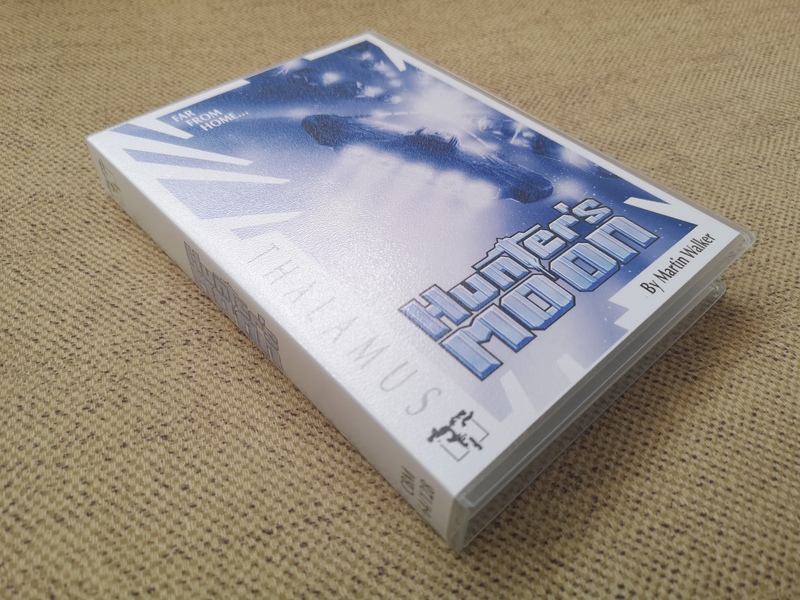 As I already mentioned, building this model brought a lot of those memories back. 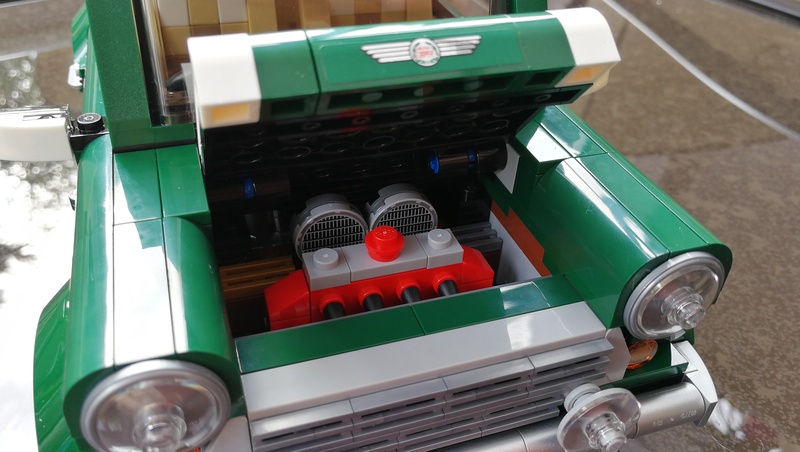 I’m delighted with the finished product, it features opening doors, reclining seats with adjustable headrests, opening bonnet with engine bay and a boot that reveals a removable picnic basket and blanket! 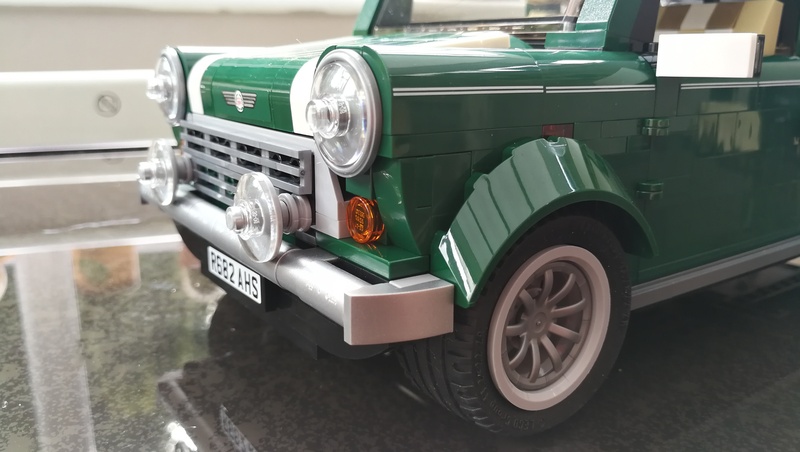 I’d recommended this kit to both Lego collectors and anyone who just wants a pretty cool model Mini to display. 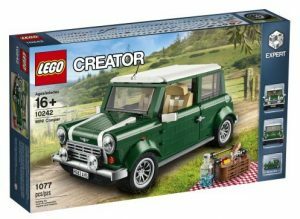 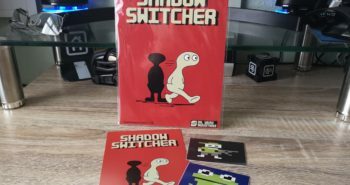 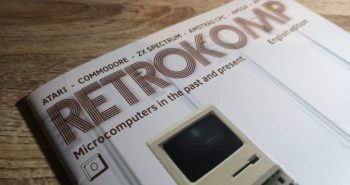 If you’d like to pick one up here’s the official page on the Lego site.